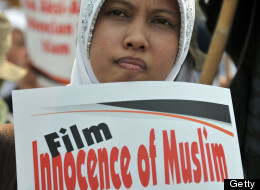 The YouTube video “Innocence of Muslims” can now be added to a lengthening list of portrayals of Muhammad that have led to violence, both threatened and real, along with calls for censorship. Examples include the Salman Rushdie affair, occasioned by the 1988 publication of The Satanic Verses, and the notorious Danish cartoons of 2006. Especially given the rank amateurishness of this video, why does it provoke so? The question can be answered in a number of ways. By far the worst explanation holds that the violence is nothing more than an irrational overreaction to a silly video, one somehow predetermined by attitudes intrinsic to Islam, including intolerance or demagoguery. Muslims, it follows, should get themselves a reformation and chill out. NEW YORK — The rights of non-Muslims and women are safe in Egypt, Prime Minister Mohamed Morsi said Tuesday, repeatedly telling a US audience that the newly democratic country will remain a secular state. “All Egyptians represent the majority, all Egyptians — men, women, Muslims, and Christians… regardless of their beliefs, their gender, their color,” Morsi said at the Clinton Global Initiative forum in New York. Morsi, a member of the Muslim Brotherhood movement who was elected following Egypt’s revolution against US-backed strongman Hosni Mubarak, told the forum led by former president Bill Clinton that Egypt will remain pluralistic and secular. 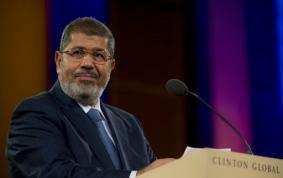 “We have really a new democratic state and a new real civilian state in Egypt: non-theocratic, not military,” he said. Morsi dismissed worries by some outside Egypt that civil and religious rights, including for the Coptic Christian minority, are likely to decline with the rise of the Muslim Brotherhood. He said the real problem in Egypt was Mubarak-era corruption. 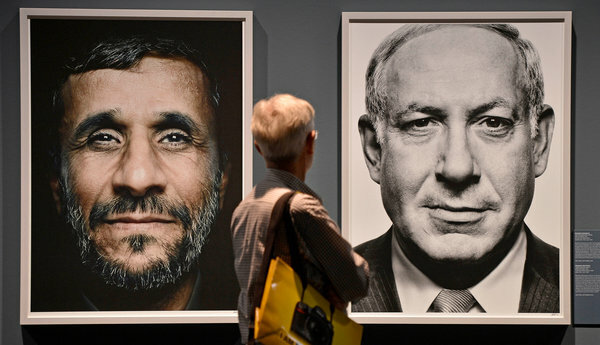 The so-called ‘culture clash’ between Islam and the West is being deliberately ramped up by Pax Americana’s cheerleaders who prefer this familiar narrative to the more complex reality of a clash of interests between Western and Muslim states. Karl Marx once said that history repeats itself: first as tragedy, then as farce. The riots and Iranian fatwa calling for the death of Salman Rushdie which forced the British-Kashmiri author into hiding for 13 years, can only be described as tragic – for him and for the cause of freedom and tolerance. In the years since the 1989 fatwa, the rage expressed at perceived Western “insults” to Islam and its prophet, Mohammed, have transcended tragedy to become farcical, with often tragic consequences. Rushdie’s “Satanic Verses” – which, as those who have actually read it are aware, betrays a profound admiration and respect for the person of Mohammed, despite its criticism of religion and human nature – at least had the merit of artistic and literary quality. 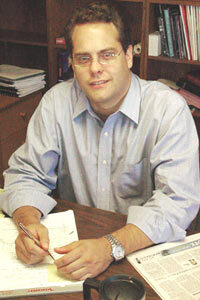 In contrast, most subsequent targets of this brand of outrage have been crude and amateurish, such as the Danish cartoons mocking Mohammed, and consciously out to provoke a reaction, like the poorly-scripted and badly-acted “Innocence of Muslims,” which those “pre-incited”, “pre-programmed” Muslim protesters, as the film’s spokesperson Steve Klein described them, obligingly did. BENGHAZI, Libya — Two Islamist militias in the eastern city of Darnah announced Saturday that they were disbanding, bowing to a wave of anti-militia anger that has swept parts of Libya since a deadly attack on an American diplomatic mission on Sept. 11. A local political activist said that one of the militias, the Abu Salim Brigade, had surrendered several bases in the city. A second militia was also said to have agreed to disband, Reuters reported. The announcements came a day after tens of thousands of protesters marched in Benghazi demanding the dissolution of militias formed during the revolt last year against Libya’s strongman, Col. Muammar el-Qaddafi. Protesters stormed four bases in Benghazi, routing a rogue Islamist militia whose members were tied to the attack on the American mission, in which the American ambassador and three other Americans were killed. 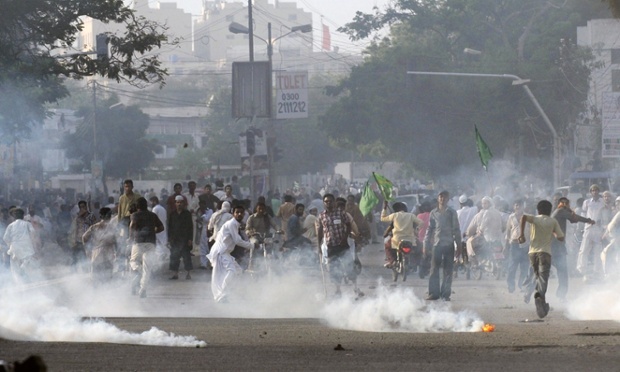 • At least 19 were killed in Pakistan and 160 wounded in clashes during protests over an anti-Islam web video. Smaller such protests played out across the Middle East, North Africa and Asia. 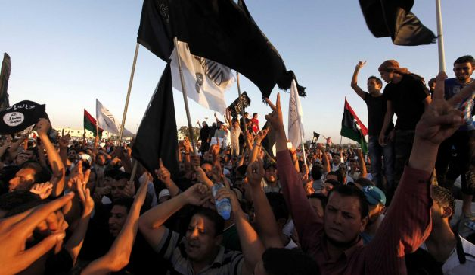 • An estimated ten thousand demonstrators rallied in Benghazi, Libya to call for peace and the disbandment of extremist groups.As midnight local time approaches the demonstrators had moved into multiple compounds associated with Ansar al-Sharia and other radical groups. No violence has been reported. • A rights group said Syrian forces had targeted and killed an opposition videographer in Hama. Sixteen others were reportedly killed in the assault. The Local Coordination Committees put the number killed in Syria Friday at 117. • An Israeli soldier and three reported assailants were killed in clashes at the border in the mid-Sinai region. One of the assailants may have detonated a suicide belt.